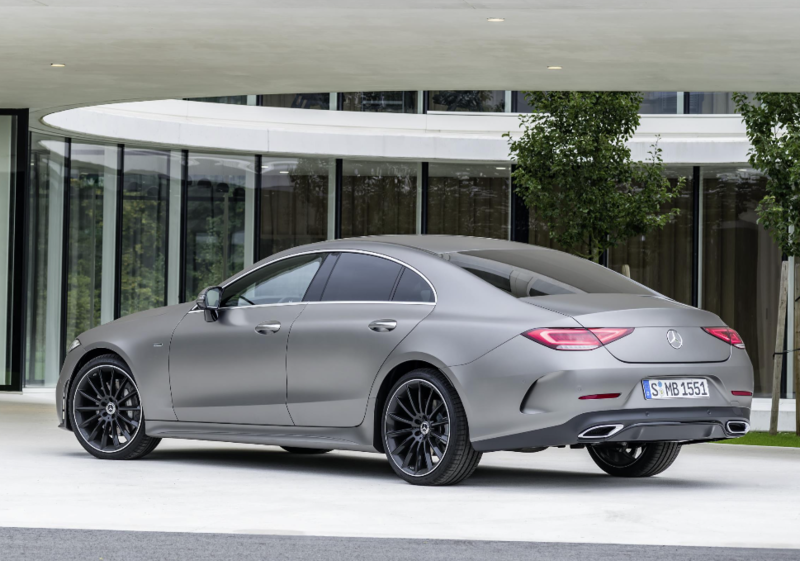 The new CLS is a stunner. Sleek and purposeful the new car offers much more than the outgoing model. 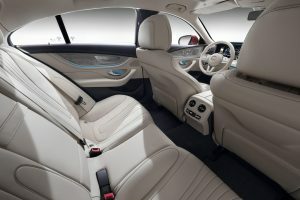 The original 2004 CLS was a four door, four seat, business coupe and while the coupe look and door count hasn’t changed the cabin is now configured as a five seater. This is great news, as it broadens the car’s real world appeal and gives the business user added practicality for family use at the weekend. The exterior of the 4,988mm long car is a completely new design. Built on the same platform as the current E Class, the new CLS had a tough act to follow.The current crop of big Mercs look great but also quite similar – somehow the CLS design team has managed to carve out a look for itself. The new inset bonnet is beautiful and helps stretch out the front of the car. The headlights are lower set adding to the car’s aggressive attitude. The cabin is positioned rearward while the boot gets split LED tail light clusters that aid a wider opening 520 litre boot – memo to self ‘must take up golf’. 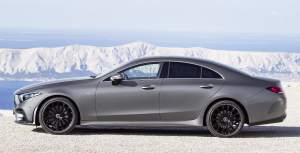 I always think of the CLS as the wide boy in Merc’s big car range. There is a sense of fun to the beast, as if its resisting being a sensible grown up like the S Class. The increased availability of tailor made AMG styling options add to its imposing street presence. Inside, the cabin reflects the latest design trends from Mercedes-Benz – so it is smart and well appointed. E Class and C Class drivers will sense the upgrade feeling the CLS delivers. New 64 colour ambient interior lighting add theatre to driving at night. Overall the cabin delivers a premium and confident feeling to the driver, that of money well spent. Behind the wheel, actually no, just walking up to the CLS lifts your spirits as all good premium machines should. The grades available are; the standard car and AMG Line. The engine range is diesel dominated. A range of new in-line six cylinder enignes and the excellent new 2 litre four cylinder from the E Class are available. Starting with the 245hp 300d, rising to the 286hp 350d and the most powerful diesel the 400d with 340hp. Petrol power, essential in China, the US and the rest of the world, comes in 450 guise with 367hp. The rear wheel drive only 300d will account for the vast majority of sales. It uses the E Class’s engine and attracts just €280 road tax. The mild hybrid 450 gets a choice of rear or 4Matic all wheel drive while the rest of the range is 4Matic. On the road my 300d test car offered relaxed cruising and is clearly a motorway cruiser. Twisty routes were fun too thanks to the rear wheel drive set up but remember in winter the old CLS rear wheel drive was capable of stepping its rear out so perhaps all season tyres should be considered if you want added traction. 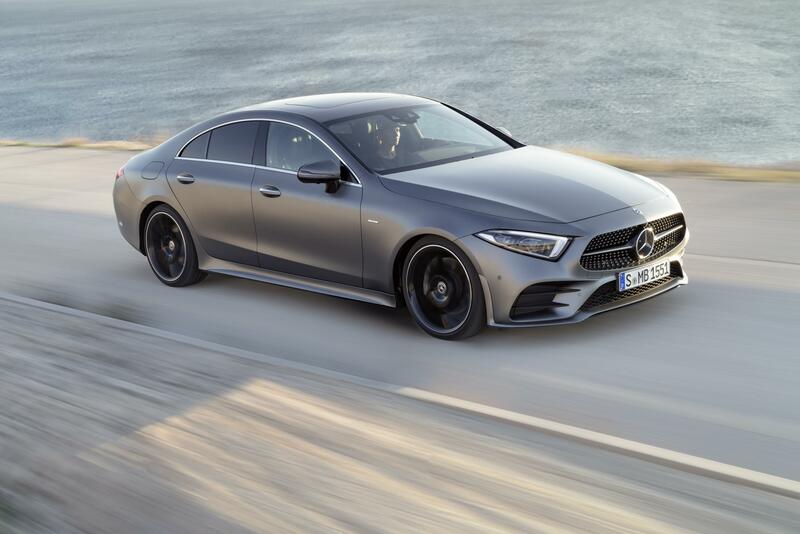 It’s safe to say that effortless progress in comfort is delivered by the new CLS. 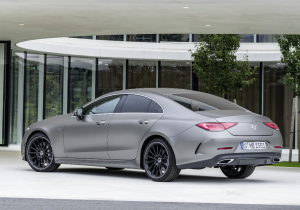 The outgoing CLS 2.2 litre started from €63,050 and the new car with circa €9K of added value starts from €64,800. The AMG model starts from €72K and at the moment has only one rival the Audi A7 that starts from €78K. 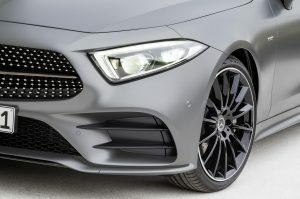 Mercedes-Benz in the last few years has reset its attention to building cars for drivers and being truer to its roots. 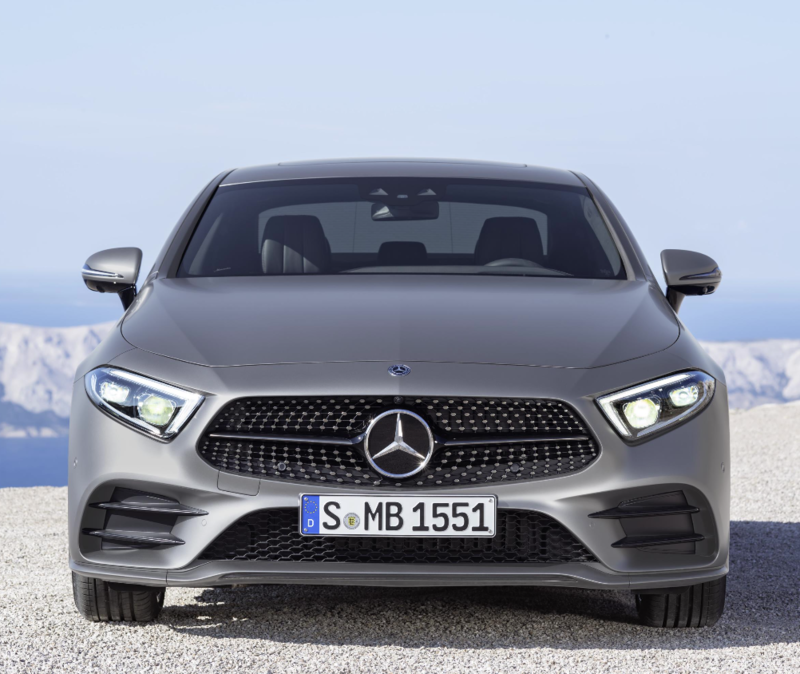 Mercedes-Benz will launch 18 new models, with no predecessors, before 2025. 10 of these will be from Merc’s EQ electric brand. 2020 will see the EQA and will deliver 420km range. By 2025, 25% of Mercedes-Benz production will be from its electric brand. That means that conventional engines will represent the remaining 75% so rumors of the internal combustion engine’s demise have been greatly exaggerated. Mercedes-Benz Ireland says when EVs can deliver a similar range enjoyed now by high mileage drivers that’s when the tipping point will be reached. The CLS delivers a look and driving experience that reminds drivers that they have a pulse… I love it.